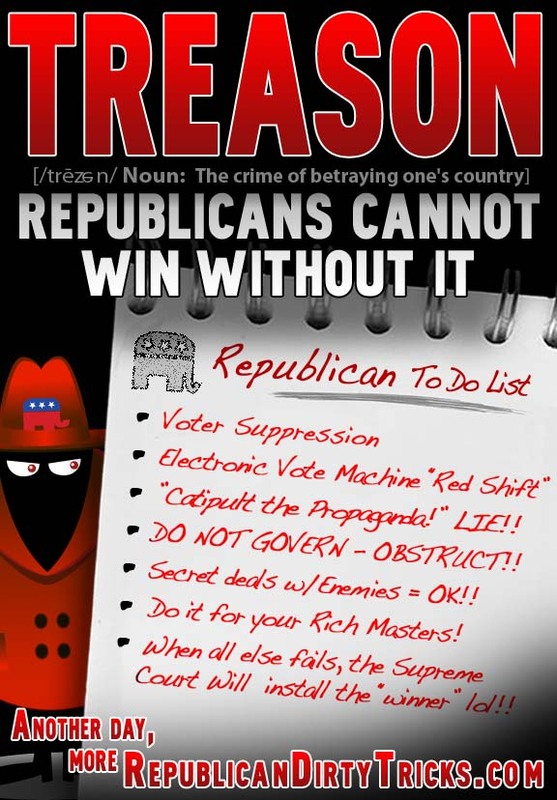 From Stupid Conservative Signs to Conservative Stupidity - in general - to today's post on Treason, in "5 Reason Republicans Should Be Charged With Treason," by Egberto Willies at EgbertoWillies.com...a jump from the silly to the serious. There was apparently a brouhaha over at the Coffee Party, Willies stated firmly in this post, "While many including some of Coffee Party board view the use of the word 'treason' as uncivil, I do not as I think, and many Republicans think that what the Republican Party is doing to our country has crossed the line that characterizes that definition better than any word in the English language. That said, as continue to blog about the ills and what I believe are solutions we should all drive not only through dialogue, but through action, I will continue to be factual as I attempt write in a manner that the message is heard by all." 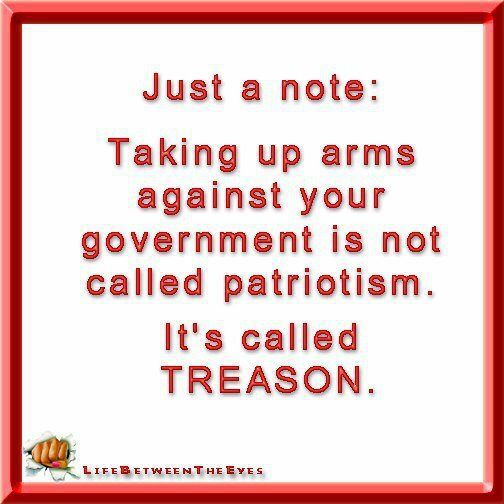 "Merriam-Webster defines treason as follows. 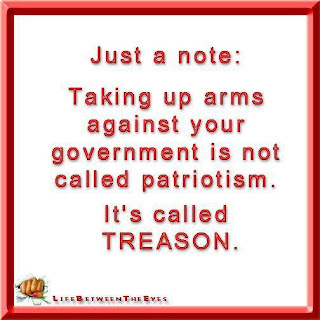 "Treason is a powerful word. It carries with it a well-deserved stigma. Within any country there are differences in ideologies. There are differences in how one wants to effect outcomes. There are differences in the vision one has for the country. The one thing everyone within that country has however is love and respect for the essence of the country, love and respect for the institutions that defines the country, and love and respect in the aggregate for all those that comprise the country. "Except for everyone’s inalienable rights that are guaranteed by the constitution (The Bill Of Rights), all differences are settled in a more or less orderly fashion at the ballot box. Americans in general have been doing that. 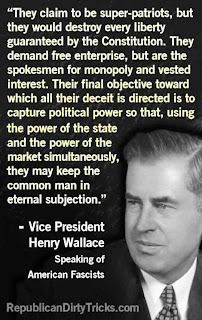 While moneyed interest (the banks, major corporations, etc.) have the disproportional ear of the politicians elected, Democrats and Republicans, Democratic policies have been more in line with the aspirations of the vast majority of Americans. "Even if they do not understand what supply side economics mean, Americans are becoming aware of the wealth and income disparity that it has produced. Even if they are themselves very socially liberal, they believe in allowing others the freedom of their choices. Except for times where they are overcome by apathy and the ills of gerrymandering that distorts the representative outcome of the vote, Americans have decidedly opted for a more liberal path. 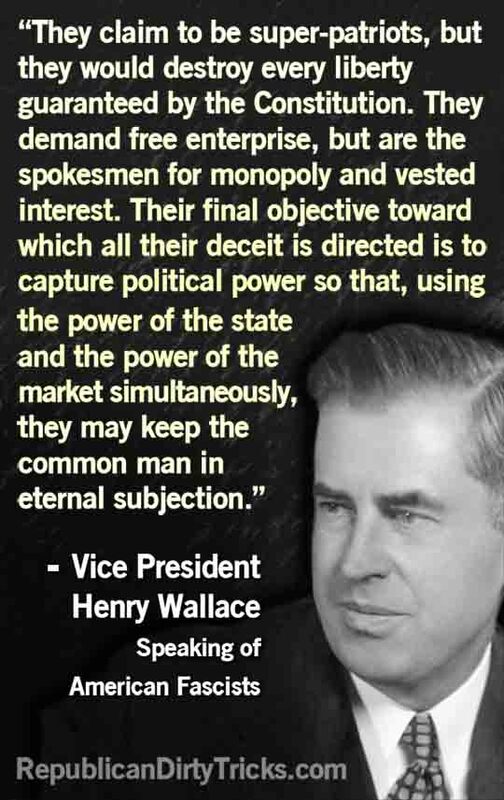 "The Republican Party, inasmuch as the will of the people are not with them, have resorted to obstructionist tactics that corrupts the real intent of the constitution and Senate rules that attempt to give the minority a voice. After-all, an absolute winner take all approach is never conducive to harmony. A losing side that gets respect and concessions from the winning side establishes trust and respect, thus allowing for continual debates, potential convincing, and changes in the future. "The GOP however has not seen it fit for civil and positive behavior. Their obstructionist actions have been called out to no avail. These obstructionist policies are tantamount to treason. "1. Eric Cantor tells a foreign leader that the GOP would be the check on President Obama’s Administration to protect a foreign country’s interest. "2. Republicans holding the entire country hostage during the debt ceiling debate had the potential to put both the country and the world’s economy though financial Armageddon. "3. Republicans continue to block appointment of judges that allows the effective functioning of the democracy. The delay in cases effectively allows corporate interest to supersede national interest. "4. Republican obsession with repealing the Affordable Care Act (Obamacare) continues to put citizens’ health and financial well-being at risk. This is no different than what war does to many, just without the guns and bombs." 5. Refusing to negotiate in good faith to remove sequester while millions of Americans suffer creates a potentially destabilizing effect in the country that will be seen for years to come as the poor and affected middle class start becoming more reactionary. If you put a population in a desperate position, they do desperate things. 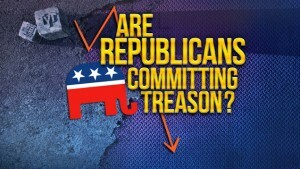 "Any single one of the above issues taken to the extreme would make the GOP guilty of treason. They have taken it to the extreme. 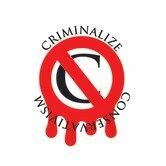 The obstruction has inhibited the functioning of the country and in the long term would affect the viability of the country..."
We've excluded the transcript from a conversation between Bill Maher and Michael Moore in transcript and video form, but if you're curious, just go to http://egbertowillies.com/2013/05/19/5-reason-republicans-should-be-charged-with-treasonbill-maher-agrees/. 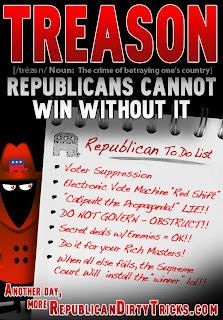 And several pieces on treason from this blog should be cited to see just how Conservatives view treason against their country: http://www.criminalizeconservatism.com/2012/11/conservatives-guilty-of-treason.html, http://www.criminalizeconservatism.com/2012/11/treason-just-another-conservative.html, and http://www.criminalizeconservatism.com/2012/07/conservatives-and-treason.html. 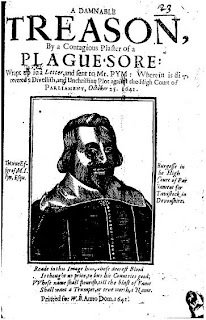 Today the Conservative leadership is encouraging the Sheepletes to take up arms against their country, so the charge of treason is accompanied with plenty of proof on the public airwaves and the 'net. When Conservatism is outlawed, treason will be at the forefront of the crimes that they will be convicted for along with murder, theft, and a multitude of other crimes, and treason will be the meme that will describe Conservatism in the future.